A 2 year old little boy is expected to survive after falling 30ft down an elevator shaft. A desk clerk called the police after they heard crying and noticed the elevator was stuck between floors. the boy was reported to be in serious condition after the police officer found that he had fallen and hit is head in the elevator shaft. 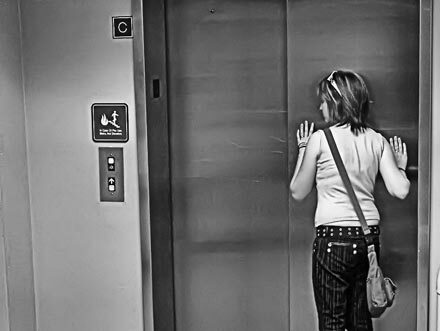 The mother told police she dozed off and the boy must have found his way on the third floor elevator. Hayes said video footage shows the boy walked to the elevator from the third-floor room and his mother came after him a few minutes later to return him to the room. “A few minutes after that, the boy leaves the room by himself for a second time, wanders to the elevator, presses the button to call it, gets inside and starts pushing buttons before the doors close,” Hayes said. Inside the elevator is an “emergency flip switch” at the bottom of the button panel that stops the car immediately and opens the doors to the compartment, but not the doors to the hallway. “It is within easy reach of a child,” Hayes noted. Police believe the boy flipped that switch and got into the gap between the car and the shaft. The elevator was given a valid certificate of inspection in October, according to reports. The Plaza Hotel staff told police it has a “no child” policy.